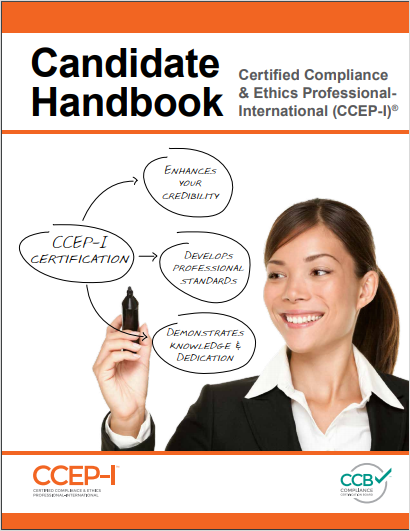 This handbook provides information you will need to apply, prepare for, and take the CCEP examination. It includes eligibility requirements, frequently asked questions, examination content and outline, examination policies and procedures, and Examination Application information. The handbook also includes information on how to renew this two-year certification. 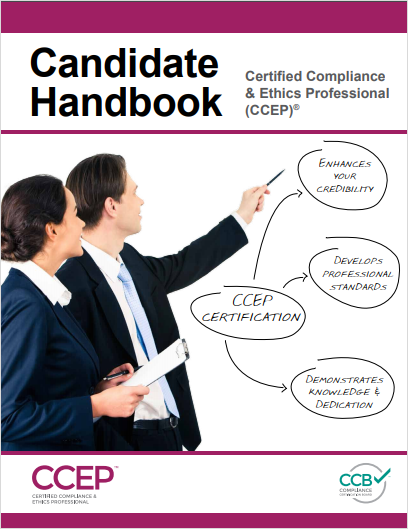 This handbook provides information you will need to apply, prepare for, and take the CCEP-I examination. It includes eligibility requirements, frequently asked questions, examination content and outline, examination policies and procedures, and Examination Application information. The handbook also includes information on how to renew this two-year certification.